Forging workshops taught by Dan Nauman: Artisan-Designer-Owner; Bighorn Forge, Inc.
Nauman’s Northern School for Blacksmiths (a division of Bighorn Forge, Inc.) offers numerous forging workshops, serving the absolute beginner, as well as those who have years of forging behind them. 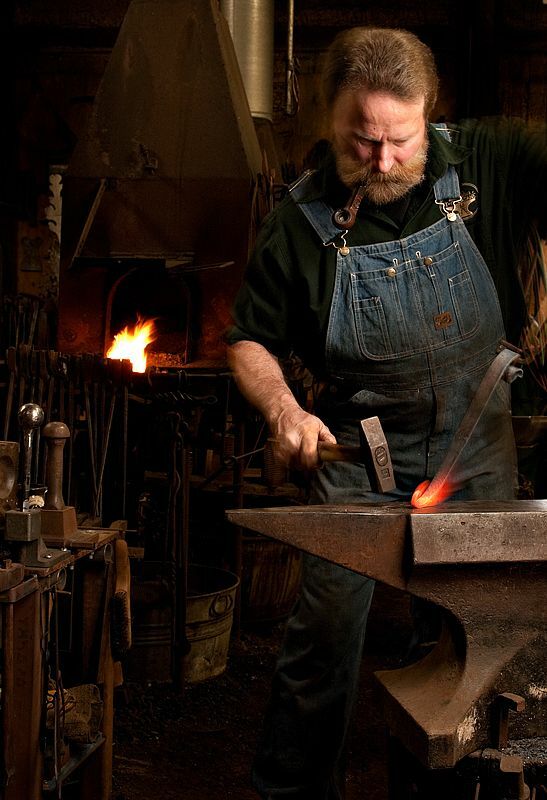 These workshops are geared towards a no-nonsense approach to learning the fundamentals of forging. Expect an intensive curriculum, with a focus on process, quality, and solid, time tested methods of forging metal. The workshops are taught by Dan Nauman, artisan, designer, and owner of Bighorn Forge, who’s work can be seen throughout Milwaukee, throughout Wisconsin, and beyond. Nauman has been teaching, demonstrating, and lecturing at workshops, conferences, colleges, and museums since 1994. In 2006, he was offered a position as forging professor for third and fourth year students at the “American College of the Building Arts” in Charleston, SC. (Though very honored by the offer, he reluctantly turned down the position for personal reasons.) To date, he has likely instructed hundreds of people on the fine points of forging and French repousse’. The workshop’s location is at the studio of Bighorn Forge, located in rural Kewaskum, which is about 50 minutes north of Milwaukee, just off state highway 45. Note: Blacksmith class and blacksmith workshop gift certificates available! See the web-site below for more information.